A principal dancer with American Ballet Theatre, one of the top classical ballet companies in the world, James was promoted to principle dancer in 2012. He is also known for his alternative lifestyle in and out of the spotlight as JbDubs, pop-dance artist, and Ühu Betch, part of the hilarious drag posse The Dairy Queens. James came to In The Lights seeking to gain significance within the traditional ballet while honoring his bold flamboyance and creativity. He also wanted to increase his opportunities outside of the arts community and find platforms for his other creative endeavors. A principal for more than five years, press rarely mentioned James, but his insta following was starting to gain momentum. Additionally, as an openly gay male, he wanted to be more authentic to himself within an environment where he acts as the handsome prince or cunning villain on stage. We faced the challenge of transforming his talents and profile into a more widespread brand that appeals to audiences outside of the performing arts community. In working with James, we started with identifying brand messaging that captured the multi-dimensional world of James Whiteside. With no specific news to announce initially, In The Lights created unique pitches for press and brands around James as a prominent male principal dancer in a prestigious American company, a colorful and daring ambassador of the LGBTQ community, a creator, a collaborator, a drag queen, an example of health and fitness, and a fashion forward personality. Our first crafted release circulated on behalf of James Whiteside featured summer guest appearances around the globe, leading to social media takeovers and invitations to society and celebrity events throughout the tour. The initial release planted the seed for future announcements of James’ additional artistic projects—the launch of two JbDubs music videos, solo presentation at Jacob’s Pillow, and collaboration with Joyce Theater and Arthur Pita to star in The Tenant, James’ first non-ballet evening of dance. In The Lights also identified a key list of brands for partnerships and endorsement opportunities that James would naturally utilize or had interest. Opportunities ranged from free products and paid posts to larger advertising campaigns. In The Lights continues to brand James as an international role model and gay advocate. As press told his story as a trailblazer for gay men, a fashion-forward New Yorker, and a multi-disciplinary artist, his fans and followers on social platforms grew exponentially. Within two years James has been featured in multiple cover stories and more than 100 press stories including New York Times and NYT Magazine, BuzzFeed, Vogue, Allure, W, Billboard, InStyle, WWD, Esquire, The New Yorker, and more. 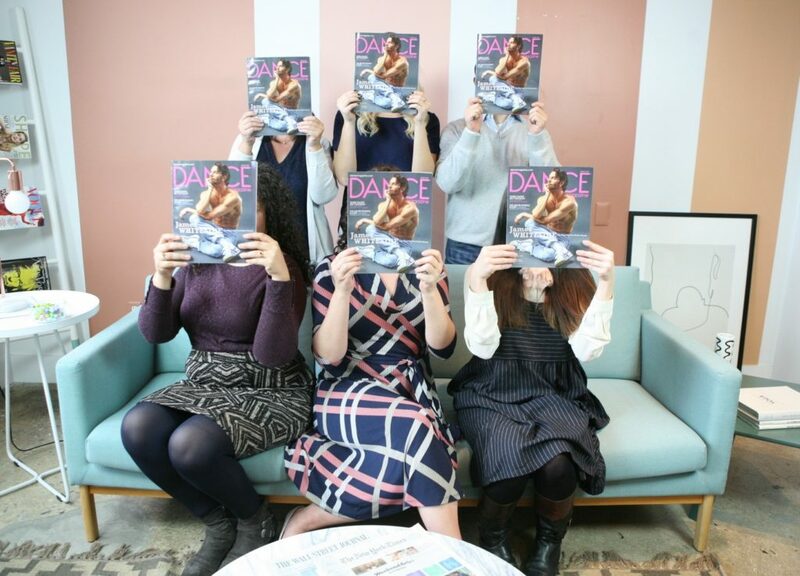 While never appearing in any dance media publications prior to working with In The Lights, he was featured 10 months in a row in 2018, including a Dance Magazine cover story. James’ Instagram following grew from 60,000 followers to 172,000. He has been featured in Jennifer Garner’s insta repeatedly, and collaborated with Arthur Pita for his 1st non-ballet evening of dance at the Joyce Theater in The Tenant. James has created endorsement campaigns with Samsonite, Nintendo, Netflix, Daniel Wellington, and more—designing and launching shoes for Koio in 2017 and Capezio in 2018.